Last month, a report claimed that Chrysler is preparing an all-wheel-drive variant of the Pacifica minivan. This would give the automaker a huge advantage in the minivan segment since the Toyota Sienna is the only competitor that currently offers all-wheel drive. Adding AWD as an option could also help improve the Pacifica's flagging sales. Nothing official has been released yet, but the Pacifica AWD is expected to be unveiled before the end of the year. However, a new report by AllPar now claims the AWD variant will be offered in the new-generation version of the Pacifica. 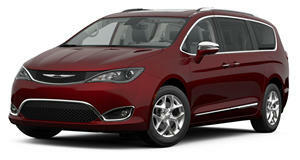 The publication believes the next-generation Chrysler Pacifica will be announced within the next two months. This would be sooner than we were expecting since the current Pacifica is still relatively new having launched for the 2017 model year and is currently the second best-selling minivan in America after the Dodge Grand Caravan. Chrysler could also be developing a new plug-in hybrid powertrain to coincide with the all-wheel drive variant. Alternatively, the automaker could switch to an entirely new architecture allowing for an AWD powerplant. Production of the Pacifica AWD is expected to start in Q2 2020, according to data compiled from industry sources obtained by Automotive News. This timing matches the launch of a potential new-generation Pacifica. If Chrysler shows the new minivan before the end of 2019, it would make sense to put it in production three to six months after that.